Disclaimer: This post is about my faith. If that makes you uncomfortable then please stop reading. It is not my intention to make my readers feel awkward in any way. I am a member of The Church of Jesus Christ of Latter Day Saints. I am very proud of that part of me and I love the church with all my heart. My daughter is literally scared of EVERYTHING. I have to admit that it probably comes from me. I hate to admit it, but it's true. I have never been skydiving and I really don't care to go. I am quite scared of heights which is not fun since I love hiking. I don't love going too fast. I am a rule follower to a T. It's bad, but its me. With all of that I don't want my daughter growing up being afraid of everything. I want her to do things that are hard and try new things. 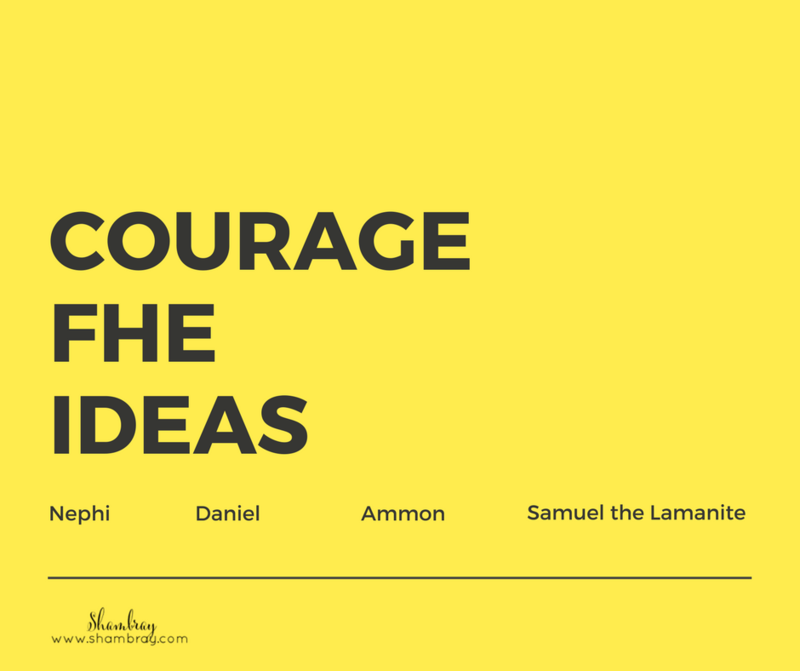 Even though I am not the most courageous person I try to put myself out there as much as I can. So because of all of this I want to teach the value of courage to my girls. I hope if anything they can understand that THEY can do hard and scary things. Most times by doing those things it makes us stronger and more able to handle the next challenge. I wanted to teach my sweet girls about people in the scriptures that have great courage. So all the Family Home Evening ideas are based on people in the scriptures. 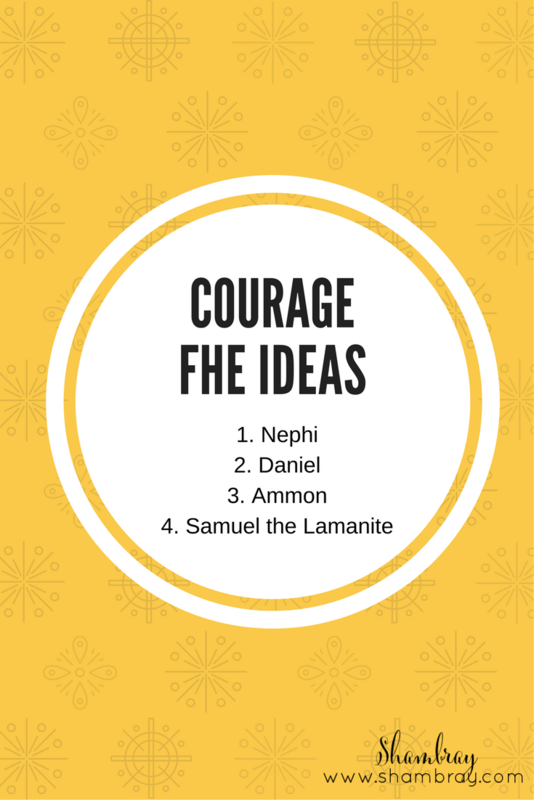 I found four Family Home Evening ideas that are all based on courageous people in the scriptures and I think the lessons are fun and engaging. Those are the requirements I have since I have some young kids. I will change anything that I need to in order to make them work for my family. However, the main lesson plan is perfect and shows how it is great to have courage! Is there anyone else you would add to the list? I can think of a few, but these are a good start! Enjoy your Family Home Evening this month!